In Maremma and throughout Tuscany, there are many different wineries that produce unique and interesting wine varieties. This is your chance to discover wines that are not typically available to you back home. Whether you want to explore nearby wineries, or venture a bit farther into Bolgheri or Montalcino, we have several possibilities to offer. You also have the opportunity to explore some of the best wines in all of Italy. 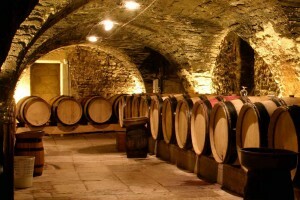 If you have a specific winery in mind, we can organize a visit for you as well. We have teamed up with local wineries to create a unique experience just for you, our guest. You will have the special opportunity to visit wineries which are not open to the public, explore different ways of winemaking and will have the chance to meet local wine makers. Additionally, you can purchase wines that are not typically available to you. This tour takes you to Montalcino, the home of Brunello. You will get to explore the town of Montalcino and visit a spectacular wine cellar, sampling both Rosso di Montalcino and Brunello di Montalcino. Should you desire, lunch may also be enjoyed at a beautiful gastronomic restaurant or in one of the wineries. If you are passionate about Super Tuscan wines than this is the tour for you. This tailor-made tour takes you to the birthplace of Super Tuscan Wines, Bolgheri, where you will learn what makes a wine ‘Super Tuscan’. You will have the once-in-a-lifetime chance to visit boutique wine propducers, learn about their history, and taste their wines. If you have dreamed about visiting several wineries throughout Tuscany, we can create an experience to fulfill your dreams. We will create, just for you, a one-of-a-kind trip, making memories to last a lifetime. During your tour, we will organize special lunches, tastings, and tours to give you a spectacular, once-in-a-lifetime experience not to be forgotten.